In case you're annoyed by the noise of mechanical keyboards, Matias introduces the Quiet Pro, a new keyboard that claims to be the quietest mechanical keyboard in the world. It's available on the company's website for $149.95 with separate PC and Mac editions. For users who crave the feel and speed of mechanical keyboards, but are put off by the noise, Matias has the solution...Today, they released the Quiet Pro Keyboard, an ultra-quiet version of their award-winning Tactile Pro. "Users love the Tactile Pro, but it's too loud for some work environments. Other mechanical keyboards have the same problem - too loud to use in a shared office, too loud to use near other people. Now, we finally have a solution. A mechanical keyboard that's tactile, feels amazing, and is no louder than a regular keyboard," said Edgar Matias, CEO of Matias. With ultra-thin, flat keyboards now the norm, many users find them uncomfortable and awkward to type on. 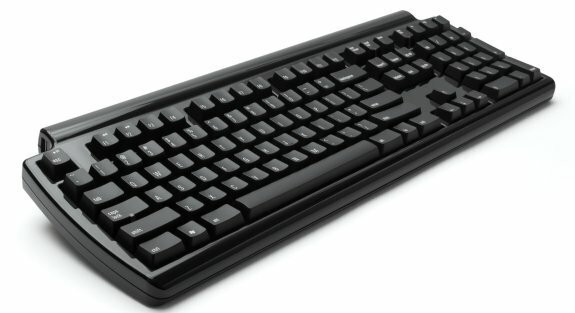 This has led to a resurgence in the popularity of higher-quality mechanical keyboards, which were commonplace in the early days of the computer industry. The only drawback is that they've always been louder to operate - until now. "We've been working on this for over 2 years. We had to develop a whole new keyswitch to do it. It was an enormous undertaking. We weren't even sure if it was possible - but we managed to pull it off. It feels just as good as the Tactile Pro, but it's quiet," said Matias. Matias also plans to sell its new switches to other companies, who wish to produce their own quiet mechanical keyboards. More details will be released soon. "After doing all this work to develop these amazing new switches, we didn't feel it was fair that they only got used in our products. So, we're planning to start selling them as stand-alone components. Other keyboard companies can buy the switches, and incorporate them into their products. We even plan to sell them in smaller quantities (on our website) for hobbyists who want to build their own custom keyboards," said Matias.